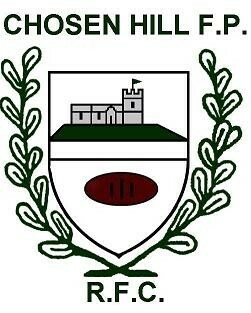 Chosen Hill Former Pupils RFC has just completed a successful season in Western Counties North Division, finishing in 7th place. The club regularly has 3 senior teams playing on a Saturday and also has a thriving Mini & Junior section with over 100 registered players which we believe offers businesses an excellent platform to promote themselves and their products and services. Based in Churchdown, the club has strong links with local schools and the community and have aspirations for progressing further both on and off the field. To help us in achieving our goals we are inviting you to support the club and be a part of its future success. Please see below sponsorship opportunities for the forthcoming season. If you are interested in one of the above packages which involves having your company logo on a piece of clothing, can I please ask you to contact us before June 26th to enable us to place our order to meet the suppliers timescales for the start of the new rugby season. Many thanks for taking the time to read the above information and we hope to hear from you in the near future and start building a successful partnership together.